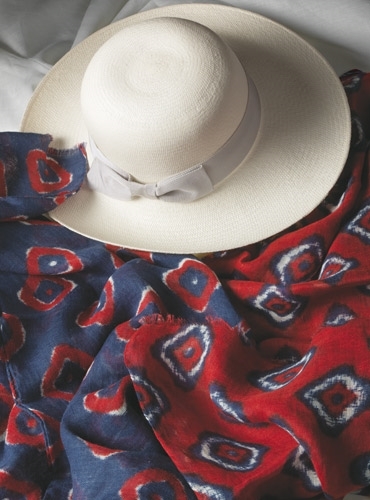 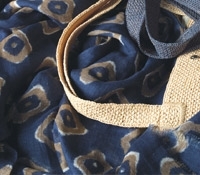 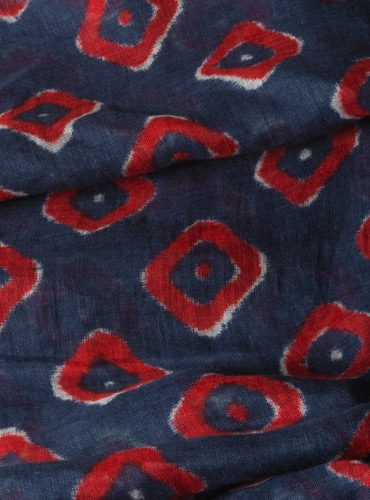 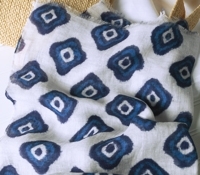 Our pure linen diamond motif Italian printed scarves accessorize every outfit. 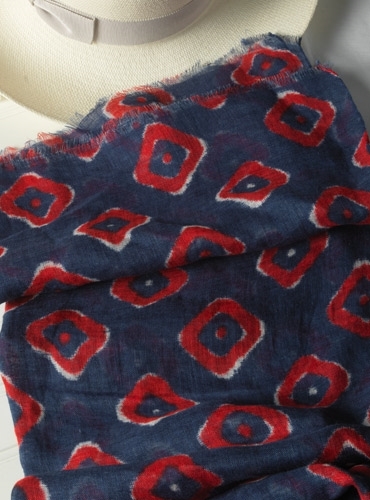 Shown here in A-navy ground with red diamond motif. 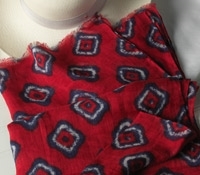 Dimensions: 25" x 75".